Section 8 is a federal rent assistance program , also known as the Housing Choice Voucher Program . Section 8 is the federal government's largest program to help low-income families, seniors, and people with disabilities pay for safe and decent housing . 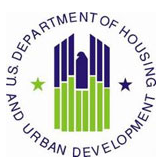 The U.S. Department of Housing and Urban Development ( HUD ) funds Section 8 housing assistance. Local housing agencies like the MCHA administer these programs on the local level. Section 8 includes tenant-based vouchers and project-based vouchers . Section 8 usually refers to the Section 8 tenant-based voucher program. 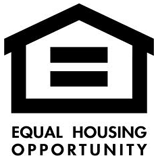 Unlike public housing , Section 8 participants are free to choose any housing that meets the requirements of the program. What rent will I pay with Section 8? Most families with a Section 8 voucher pay 30% of their monthly adjusted income as the tenant portion of the rent. Section 8 pays the difference between this amount and the " payment standard " set by the MCHA. You will pay 30% of your monthly adjusted income if you choose housing where the total rent (rent plus utilities) is less than or equal to the payment standard set by the housing agency. Some families with a Section 8 voucher pay up to 40% of their monthly adjusted income as the tenant portion of the rent. You will pay more than 30% of your monthly adjusted income, up to 40% , if you choose housing where the total rent (rent plus utilities) is greater than the payment standard set by the housing agency. You are not allowed to pay more than 40% of your adjusted income when you first get a voucher or whenever you move to a new unit. What is the Payment Standard? The " payment standard " is the maximum monthly rent assistance that the government will pay to a landlord who rents to a family with a Section 8 voucher. The payment standard depends on the apartment size and the area where the rental unit is located. The payment standard is often the same as the fair market rent , but can be slightly higher or slightly lower. If you have a Section 8 voucher, you must try to find an apartment where the rent, including utilities, is not higher than the payment standard . If the rent is higher than the payment standard, you must pay the extra. If the rent is much higher than the payment standard, the housing agency will not approve the apartment. What is the monthly adjusted income? Most households pay 30% of their monthtly adjusted income for Section 8 housing. $480 for each dependent . A dependent is a member of the family (other than the head of household or spouse) who is under 18 years of age, or a full-time student, or a person with a disability. You may not take this deduction for foster children. Child care expenses for children under age 13 when the child care is needed so a family member can work, look for work, or attend school. If the child care allows a family member to work, the child care expenses cannot be greater than the working person's income. $400 per household if the head of household or spouse is elderly or has a disability. Certain disability assistance and medical expenses that are greater than 3% of the gross annual household income. What happens when I get a Section 8 Voucher? When you get your Section 8 voucher , your MCHA case manager will explain the program rules and give you advice on how to find housing. What your responsibilities are under the program. Your housing agency will also tell you about the Section 8 Family Self-Sufficiency (FSS) program. The FSS program is a voluntary program that helps you get a better job and save money for a house, a car, or any other purpose. When you find an apartment and the landlord agrees to rent to you, you must get approval from the housing agency. They must approve the owner's lease and rent amount, and the apartment must be inspected. Once any needed repairs are made, you and the owner must sign a lease for at least one year, and the owner signs a contract with the housing agency. If the owner asks for a security deposit , you are responsible for paying it. Each month, you pay your part of the rent to the landlord, and the housing agency pays the landlord the rest. The Section 8 Project-Based Voucher (PBV) program is a component of the Section 8 Housing Choice Voucher (HCVP) program that provides long term project-based affordable housing for very low and extremely low households. Unlike tenant based vouchers, the Section 8 Project Based Vouchers are not mobile . The subsidy is tied to a specific unit .